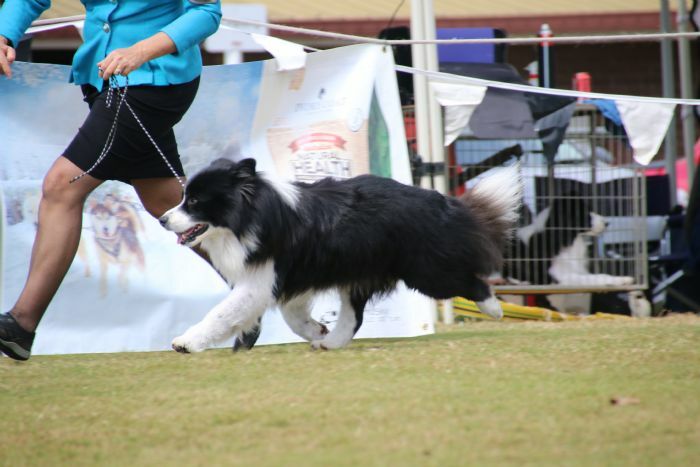 Intermediate in Show BCC QLD 2011 Critique: 18 mths. 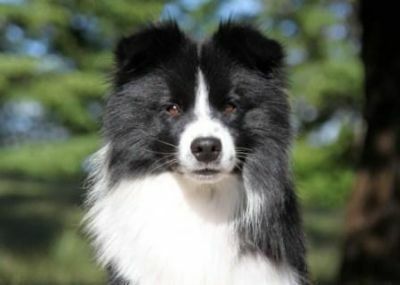 Medium sized strong graceful, quality dog of excellent type & very good proportions. Excellent head, expression, top & underline, very good croup. 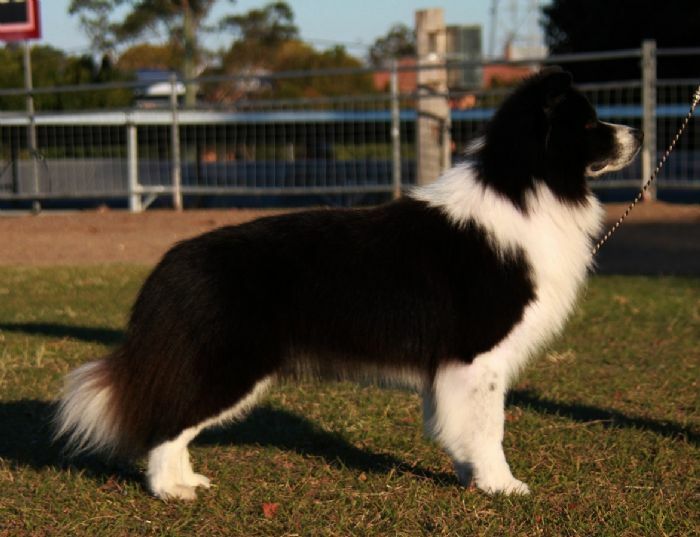 Very good fore & hindquarter angulations, with very good breadth of thigh & well let down hocks. Stands correct in front. Very good out & back. Very good expansive side gait maintaining a very good topline. His movement is balanced, effortless, smooth & tireless with minimum lift of the feet & very good reach & drive. Mrs K Gregory NSW.